Terarosa Coffee on Jeju Island — possible the best cafe in the world? South Korea invokes images of K-pop, Gangnam’s bright lights, and gargantuas of industry Samsung and Hyundai. This is matched by its dual image of a country constantly under threat from its northern neighbour. Less well know is the nation’s obsession with coffee. In 2016 Reuters reported that Korea had reached ‘peak coffee.’ Since then the number of cafes in Seoul, the country’s capital, has reached 18,000 — making it the city with the highest number of cafes per capita in the world, far outstripping the home of Starbucks and San Francisco. Not only have Koreans embraced café culture, they have gone out of their way to distinguish themselves. In such a crowded market, there are bold concept cafes, dog, cat and raccoon cafes. There are florists that serve coffee, cafes with DJs, cafes with artwork, cafes in former warehouses and factories — and all serve a combination of self-roasted beans, unusual non-coffee alternatives and a plethora of cakes. Even the smallest units have their own roasting machines. Some people have a café on the side of their full-time jobs. Starbucks, by far the largest chain in Korea and credited for kicking off the coffee boom, has had to up its game. Its Reserve brand, which features pour-over counters and special blends, is well represented, and their largest store which opened last year is housed in a 1,097sq m space and features a 6.8m long piece of art work. Where this obsession with coffee came from is less clear. Some believe cafes to be a “third space” — a place away from the pressures of the work place and home. 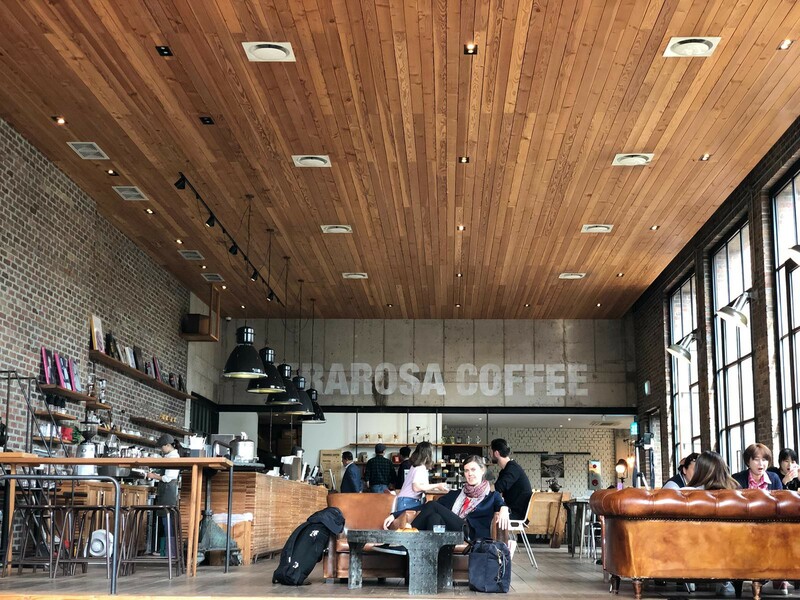 While this is not particularly unusual, space comes at a premium in downtown Seoul, where average living space per household is just over 62sq m. Thus many cafes take great care in their design and create loft-style spaces. But consumers will also travel long-distances, especially to cafes that are particularly Instagrammable. While Korea should be counted a success by any measure — it transformed from one of the poorest countries in the world to one of the richest in only one generation, was the first country to achieve 50% broadband internet coverage, and has a rapidly growing cultural cachet overseas — it still looks to the West. In his book The New Koreans, Michael Breen describes a national lack of confidence, to the point of disbelief, in its own successful transformation and traditional culture. Colonisation under the Japanese and a continuing dependence on American support and presence since the end Korean War — which, Starbucks aside, is manifest across a whole range of food trends, from hotdogs and burgers to bagels and pancakes — may have played a part in this. High levels of plastic surgery are also considered a symptom of this lack of confidence and desire to be more Western. Coffee has been part of Korean culture since the late-19th century, but for decades it represented Westernisation and was a closely guarded preserve of the elite. This, and Korea’s growing prosperity and disposable incomes, may go some way in explaining the ever increasing popularity of coffee and cafes. Korea sits at an interesting juncture. Despite its high income status it is still considered an emerging market by many indices due to the lack of convertability of its currency and restrictions imposed by local exchange, thus making it harder for foreigners to do business in Korea. The country’s history has created a spirit of ingenuity, creativity and hard work which is manifest in any venture undertaken by Koreans. Coffee is another example — to do well and do right, in a highly caffeinated way. For more information about Korea’s cafe culture and list of my favourites from my month there, visit my website here.